I have first-hand experience with my mother owning a Renault Alliance and then me owning an Encore. 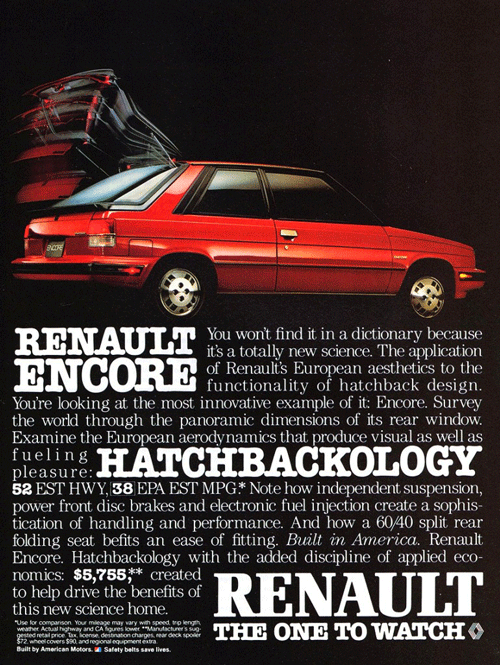 This was the big deal about the partnership with American Motors and Renault. The cars were a hit out of the gate with the Alliance named Motor Trend Car of the Year but it all went down after that. Mom had the 1.4L engine in her car and I thought it sounded like a sewing machine. I opted for the 1.7L in my Encore and the car could still only barley get out of its own way. I did like the manual shift. The cars had a bunch of issues but it basically came down to cheap materials and bad engineering. Did you know that the Alliance/Encore were high on the list of stolen cars for a while? No, not for anything special, they were getting ripped off for their parts. Go figure. passengers, and fuel millage around 40 mpg. The Dauphine, a three-box design, rode on a 89.3 inch wheelbase, total length was 155 inches and curb weight was almost nothing, 1,430 pounds. Except for the speed, sounds about the same as today’s econo cars. Oh, and they were going to name it the Corvette but decided against it because of Chevy’s Corvette. Most likely the best move they made in the entire process. 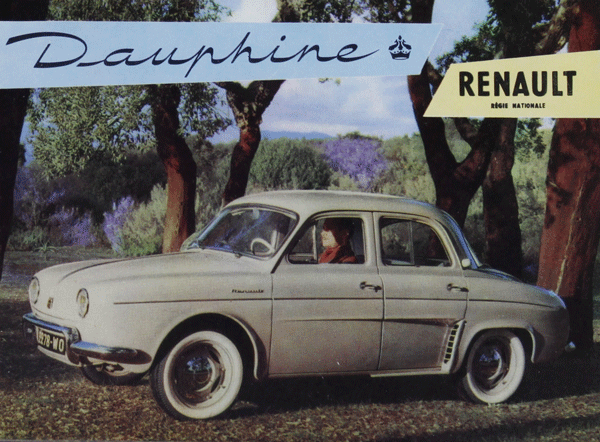 Engineers spent five years working on bringing the Dauphine to market. Once they had a prototype built, their chief engineer took it out for a spin which should have made him shut the door on the project. Not one but five flat tires along with a generator failure in just over 1,400 miles of testing. Not a good start. Additionally the noise levels were too high, the car had crappy ventilation, and the engine was gutless. Well duh! After just over a million miles of testing, it was time to release the Dalphine to the public in 1956. And it sold like gangbusters! Like the Alliance/Encore, it sold well, except this time in Europe, passing the million mark in just four years. But here’s where their plan fell apart. 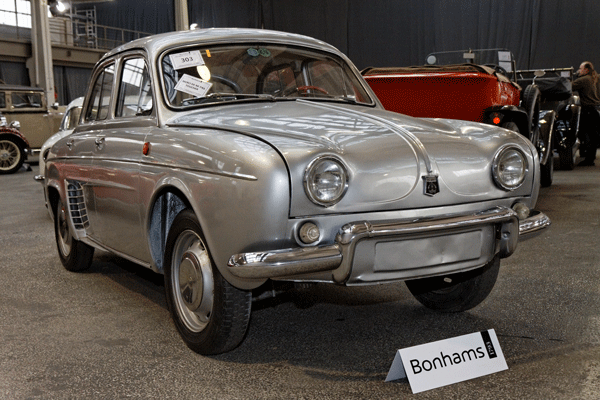 The car was built for the weather conditions in Europe but essentially fell apart when they began importing Dauphines into the U.S. market to compete against the VW Bug. Like the Japanese cars of that era, the Dalphine was a victim of the tin worm and many owners thought they could be heard their cars rusting. The engine was a gutless wonder. Road and Track tested it and it took 32 seconds for it to hit 60 mph! I can grab a beer faster than that. I was surprised to find that Dauphines ran in the Trans-Am series in 1966. That must have been painful for the driver. 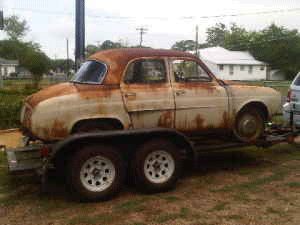 copy is around $3,000 while the Gordini Edition goes for around $9,000. 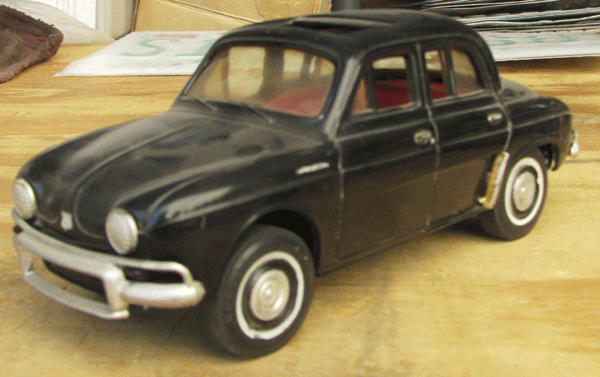 There is a demand for models, extensive in die-cast but not so much in plastic. I can’t believe they actually did a promo model of it. I found this example on eBay and it sold for $38, including all the dust. Huge upside on the promo is that it will NEVER rust. Try Dauphine . . .
And I have the ad sitting right in front of me:) Thanks for catching that, all fixed.